I wish I had this one the other week when we did our snow theme! Now I am trying to think how I can sneak it into one of my themes in the next few weeks…hmmm….Thanks for the idea! snow storytime redux! how else are we going to get through these long winter months? I really like the look of Mr. Snowman. He’s cozy and warm in that scarf and Look! 2 Mittens! He’s holding them up like he’s happy to see them. This is a great way to incorporate I went walking and I wish I’d thought of it! thanks. it’s a really fun story to do with a kids of all ages. thanks. it’s pretty easy to make and fun to do! What a cute idea! I’ll definitely be using this for a snow/winter theme next winter. yep, it’s awesome! Thanks again Miss Allison! you rock lady! Love it! I also love the way all the Flannel Friday contributors take an idea and make it their own. 🙂 So many little ones are really benefiting from everyone’s sharing! I’ve used this rhyme and my teens made the flannel snowman. We used it for our teen snowy storytime (where the teens tell the stories) and it was a huge hit! Kinda jealous of your storytime kids for this one. Looks like a lot of fun for a chilly, snowy day! Agreed! 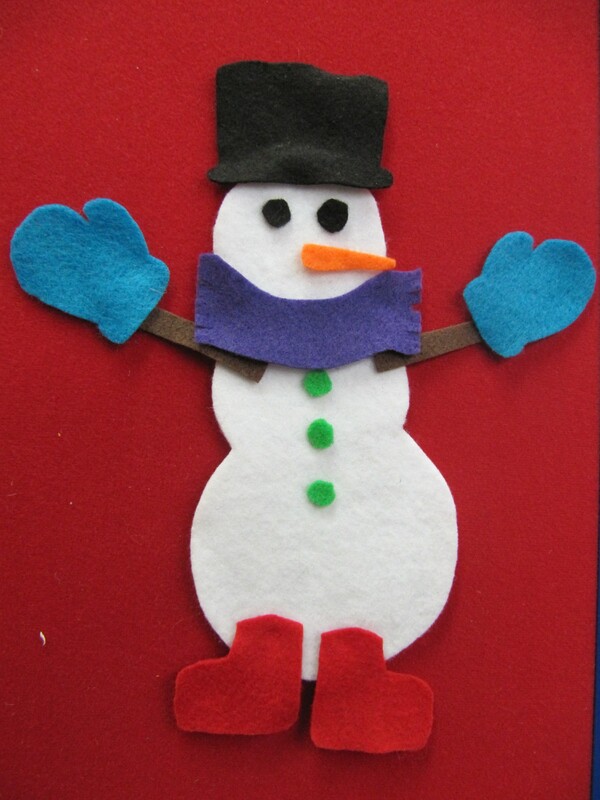 This would be a great fit for a snowman storytime — one that I will have to do soon before the snow melts!